Democratic U.S. Senate candidate Beto O'Rourke speaks during a campaign town hall at the Echo Hotel and Conference Center Tuesday, Feb. 13, 2018, in Edinburg. On Tuesday, the O'Rourke campaign announced he raised more than $6.7 million in the first quarter of 2018. EDINBURG — Two hours before U.S. Sen. Ted Cruz, R-TX, held a campaign rally here, his Democratic opponent, U.S. Rep. Beto O’Rourke of El Paso, announced he raised more than $6.7 million in the first quarter of 2018. This was by far O’Rourke’s largest fundraising quarter of his campaign, doubling any other three-month stretch yet. O’Rourke’s previous quarters ranged from $1.7 million to $2.4 million. The fundraising, which his campaign said is more than any Democratic candidate nationwide, comes from 141,000 contributions. O’Rourke’s campaign declined to provide how much cash the candidate has on hand, but said O’Rourke has outraised Cruz cumulatively. Cruz’s campaign has not announced a first quarter fundraising total. As of mid-February, O’Rourke had $4.9 million in the bank compared to Cruz’s $6 million. Both O’Rourke and Cruz are currently on campaign tours across the state. Cruz made four stops on Monday, with his first of four Tuesday events in the Rio Grande Valley, followed by four more events on Wednesday. 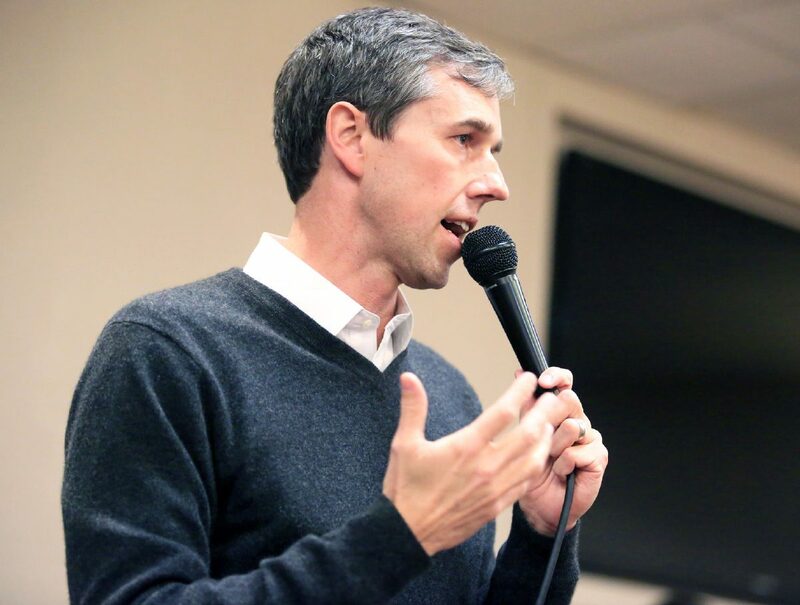 O’Rourke, who has visited 228 of Texas’ 254 counties, will hold town halls in 15 cities over the next six days.